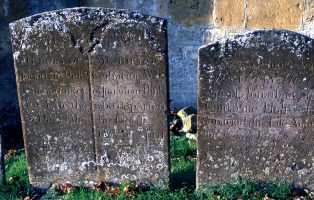 The churchyard of St. James’ Church has been in use throughout the centuries. Early burials were normally unmarked and, in accordance with custom, bones were eventually removed to the charnel house to make room for new burials. 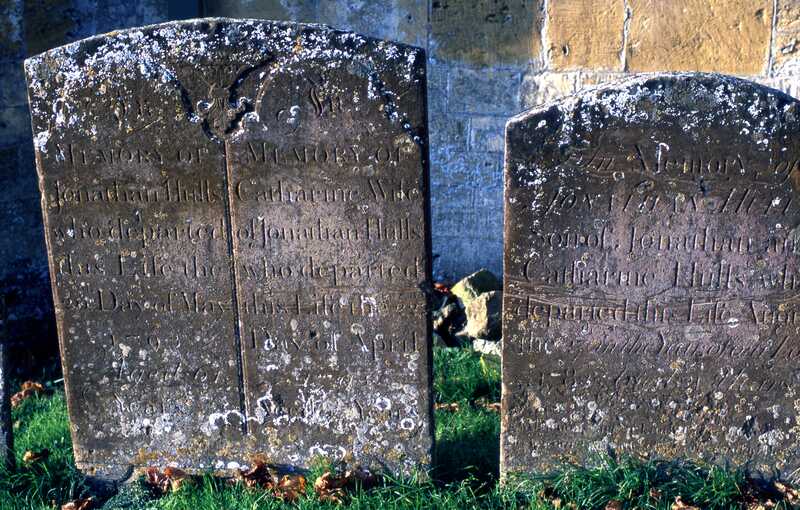 In the seventeenth century the provision of a stone memorial became common and from that time the churchyard began to fill with gravestones, all irregular in layout. 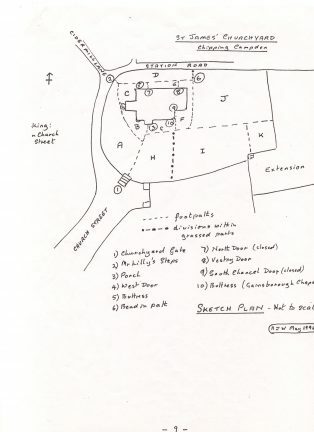 When the Lime Tree Walk was laid out in 1770 from the entrance gate to the church porch, some earlier memorials were removed and used to line the path. In the late nineteenth century extensions to the St. James’ churchyard became necessary and graves were organised in neat rows. St. Catharine’s Roman Catholic Church did not have its own churchyard when it was built in 1891 and use was made of St. James’ Churchyard until the 1920s when a new Catholic churchyard was opened in Back Ends. Members of the Baptist Church were buried in their own burial ground, bordering on Back Ends, the last recorded burial being in 1966. A town cemetery, bordering West End Terrace, was opened in 1993, and members of all denominations are now buried there, unless they have family plots in one of the other graveyards. St. James’ Church still accepts the interment of ashes. 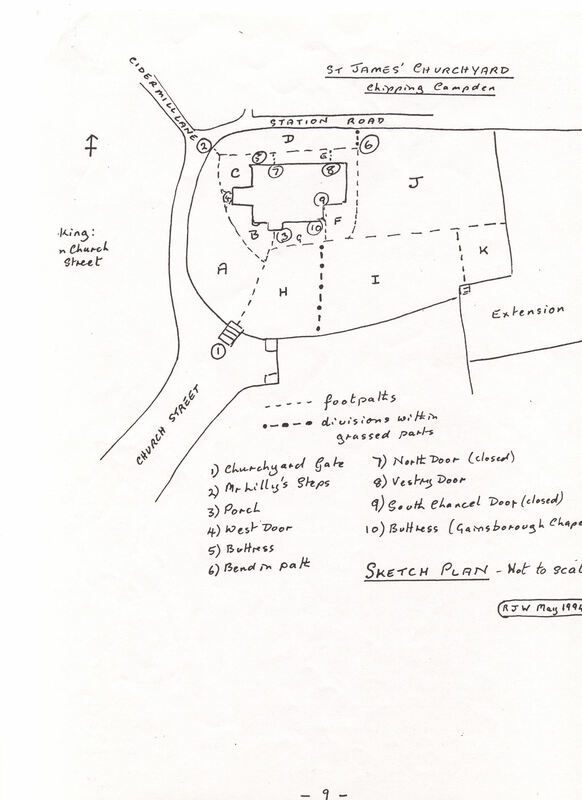 A survey of Campden’s three earlier Graveyards – St James’s Parish Church, St Catharine’s Catholic Church and the old Baptist Chapel graveyard – was undertaken by CCHS volunteers in the mid 1990s. The purpose was to record all remaining gravestones and monuments and to produce a list of all legible and identifiable inscriptions. Unmarked graves are therefore not listed – both graves which never had a stone memorial and those where the memorial has not survived. 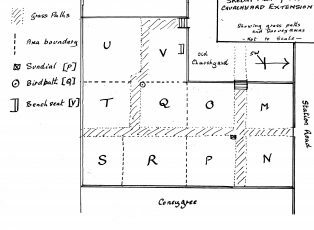 (However, some unmarked graves may be tentatively identified from the sequence of burials in the Parish Registers). The handwritten survey forms are filed in the Archive Room, sometimes with a drawing or photograph and may be consulted by appointment. To search the Burials data download the appropriate table and, if you are using a PC or laptop, press the Control key together with the “F” key and a “Search” box will appear. Type in what you are searching for and it will be highlighted in the table. Use the arrows to search for the next item. If you are using an i-pad, highlight the URL address box, then press the “Search” box and a “Search this page” box will come up above the keyboard – type in what you are looking for and it will be highlighted in the document. Bear in mind that there may be more than one entry. Good Luck! You should find everyone who is recorded on a headstone: if you look across the list you will see a location and grave number – these are the same where family members are buried together. We have now scanned drawings of the individual headstones that were done as part of the survey. These will be put in this section of the website when the final checks have been made. The graveyard map has to be scanned using a large copier and we are currently looking for a commercial service and costing the work. Donations to cover the cost would be much appreciated. Thank you for this. These lists must have taken a lot of hard work and those involved deserve to be congratulated. 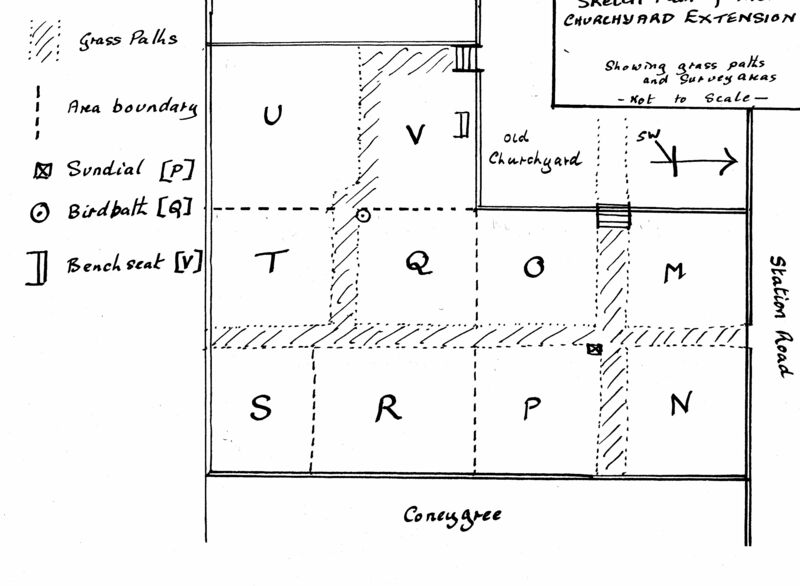 May I suggest that an explanation of the references, such as the churchyard locations, be added? Also, it would have been useful if others (family members) listed on the gravestones could have been included – but I am not asking for further hard work to be undertaken!